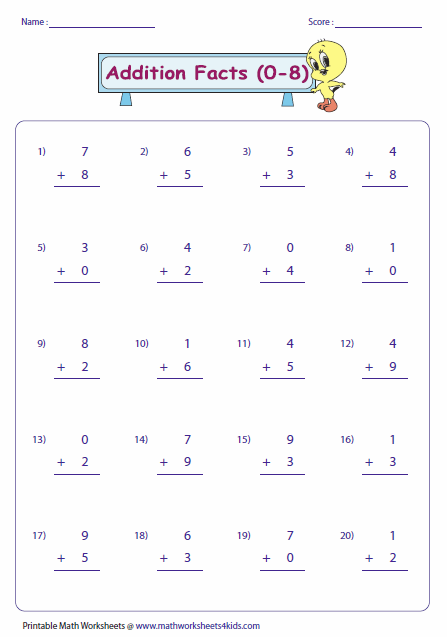 Basic addition fact worksheets contain single digit addition facts from 0 through 9, theme-based facts, mixed addition facts and dart-board addition. 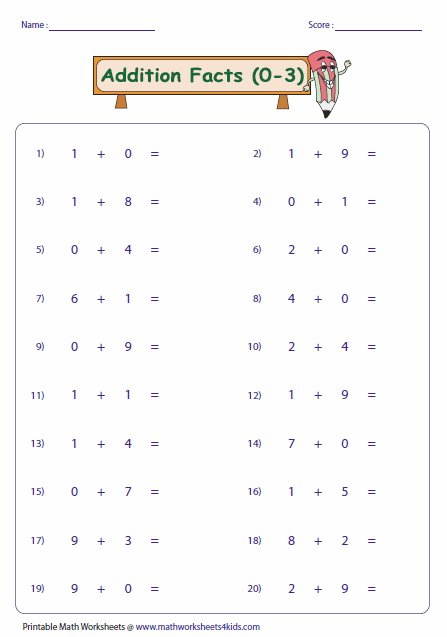 This page has worksheets with the addends arranged in the horizontal and vertical forms. All the worksheets are in color. It would also look good in black-and-white printing as well. Kid theme is used in each fact. Each worksheet contains 20 problems. Addends are arranged in the horizontal form. Good practice pages to focus on the addition facts. 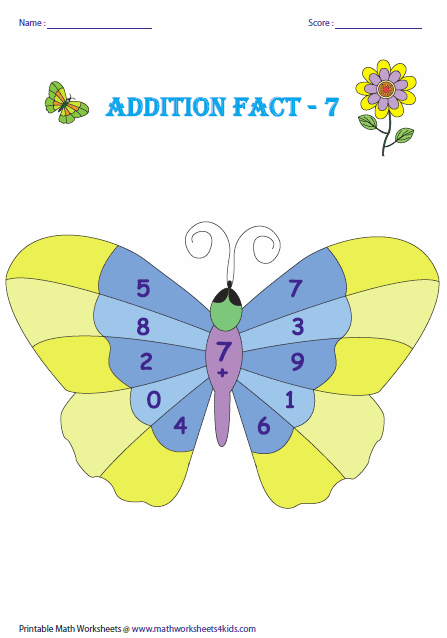 This butterfly theme brings more interest for kids in learning basic addition facts. 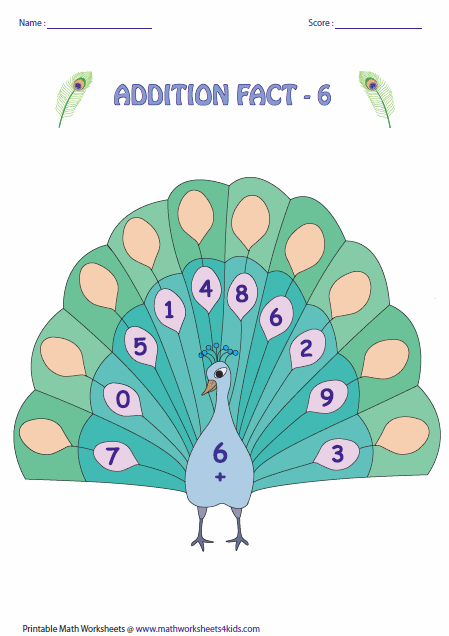 Add the number on the body of the peacock to every number on the feathers. 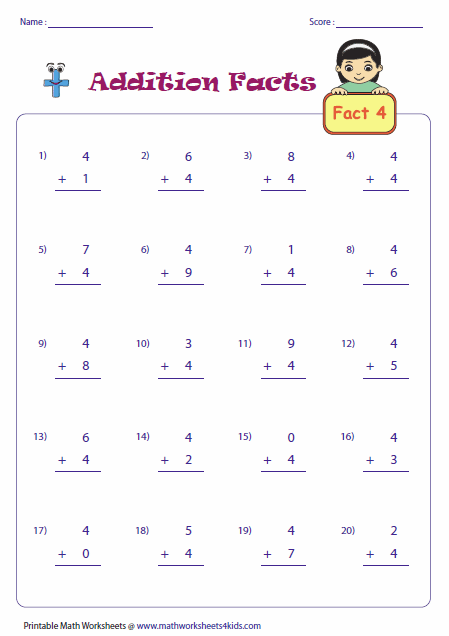 This section contains column addition facts with a cute theme in each worksheet. 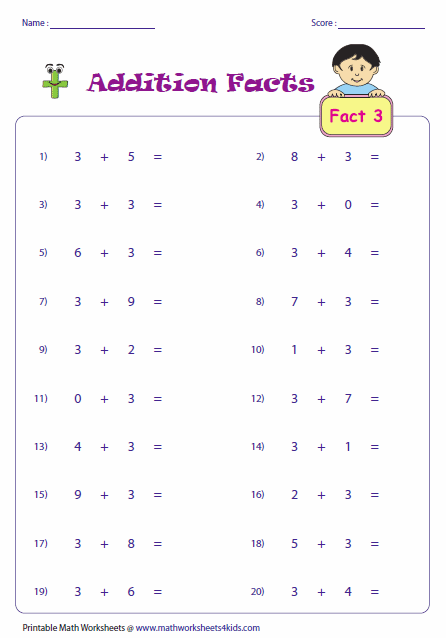 We have mixed addition facts in this section with the addends arranged along the row. Pick up the range of addends you want to practice. 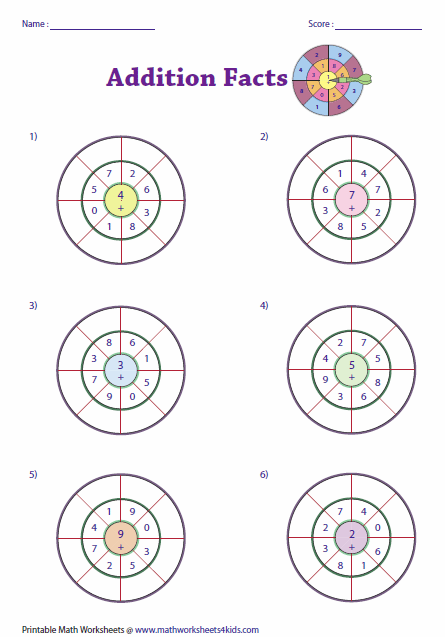 Add the number at the center of the dart board with the numbers around the center. Write the answers. Teacher template included.